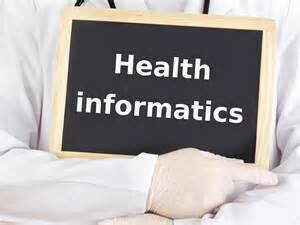 How Can I Pay for a Master's in Health Informatics Degree? When you are trying to decide whether or not to attend school for a Master’s in Health Informatics (MHI), you must take the time to weigh the pros and the cons. All advanced degrees, whether it be a graduate or a post-graduate degree, will cost you a pretty penny to earn. Not only do you have to commit your valuable free time to your studies, you also have to pay for tuition fees, books and other educational costs you probably did not even budget for. When you are pricing the cost of a terminal degree in Health Informatics, you should set aside time to learn how the degree can be paid for. Here is your guide to paying for a MHI degree before you assume that applying for a loan is the only option. The very first step that all graduate students should take when attending school is to apply for federal aide. The Free Application for Federal Student Aide will cover a portion of your tuition if you qualify based on your income. Unfortunately, since most grad school students are independent and hold a job, only about 4% of those who apply will receive any Federal type or state type of grant. Since it is harder for students who are trying to earn a master’s to qualify for free money, it is important that you assess other options. You should always give your all in college, especially when your performance can help you pay for your continuing education. If you prove yourself as you study for a bachelor’s degree, there is a very good chance that you can apply for and be awarded a scholarship for your advanced studies. There may be less opportunity for scholarships for graduate students, but if you go to a professional organization in the field and you can demonstrate your commitment to the field, there will be awards that you can apply for. The American Health Information Management Association is one of these professional organizations that specifically offers a $2000 merit award for graduate students studying health informatics. The government is also very committed to training and has different programs that will help you pay for schooling through agencies like the Center for Disease Control. Take the time to look for government opportunities before you rule out the option to receive a scholarship based on merit or based on your financial need. If you currently work in health information or in a related field, there is a good chance that you can get your employer to cover some or all of your tuition costs. Some employers will fully reimburse your costs and others will take on a percentage. Take advantage of your benefits and get an education that you can use to advance your career. The last option would be to apply for a loan for your schooling. There are both federal loans and private loans available. The federal loans are easier to qualify for and offer you more security. After you have exhausted these limits, the last option is to apply for a private loan based on your creditworthiness. Make sure to avoid digging yourself in debt for as long as possible, and find alternatives for paying for your Master’s in Health Informatics.